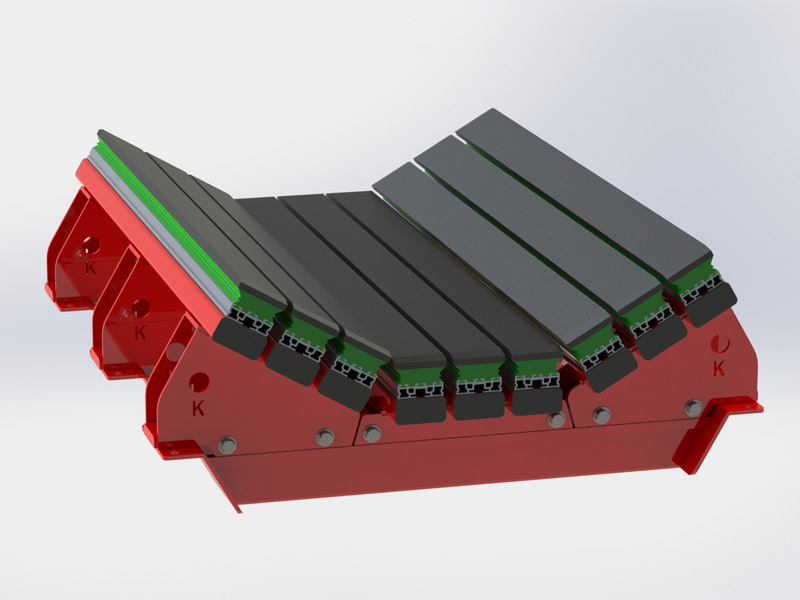 The K-Shield Impact Belt Support System, designed and engineered by Kinder Australia, can dramatically improve material containment at high impact conveyor transfer points. 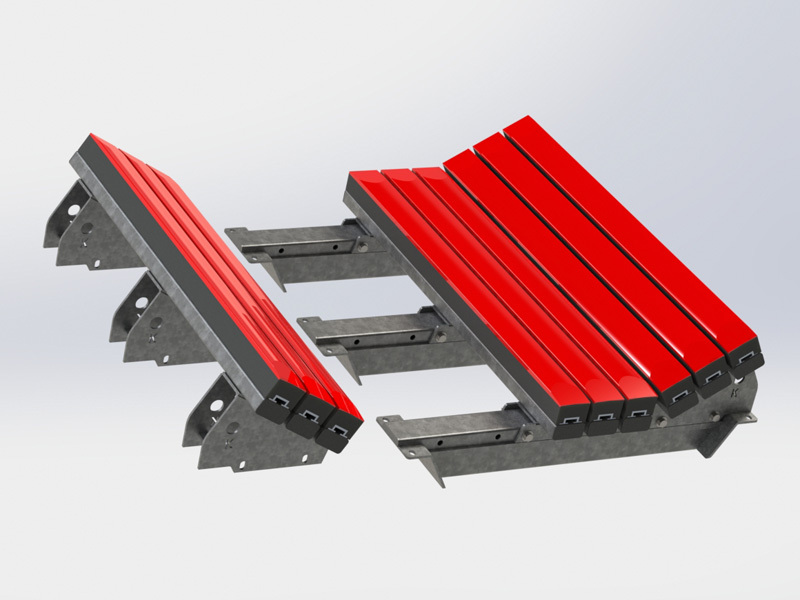 Each cradle is custom engineered to suit a variety of heavy material applications. 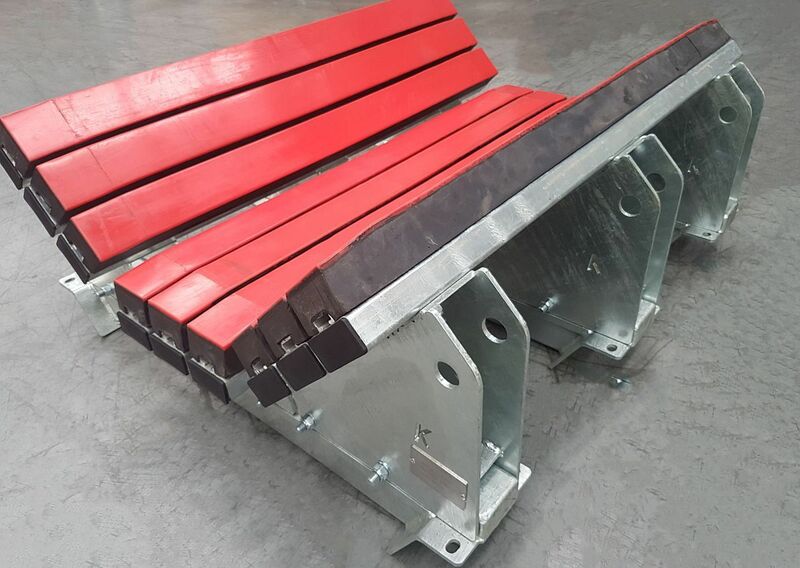 The rigid cradle provides extra support under the moving conveyor belt, stabilising the load at the transfer point. The skirting and seals can then work more effectively, preventing belt edge sag and spillage which creates unnecessary maintenance and labour costs. A key feature of the K-Shield Impact Belt Support is that it has no moving parts to fail and therefore is free of continual maintenance. The 12mm thick UHMW polyethylene wear surface allows the belt to slide freely over the cradle surface. 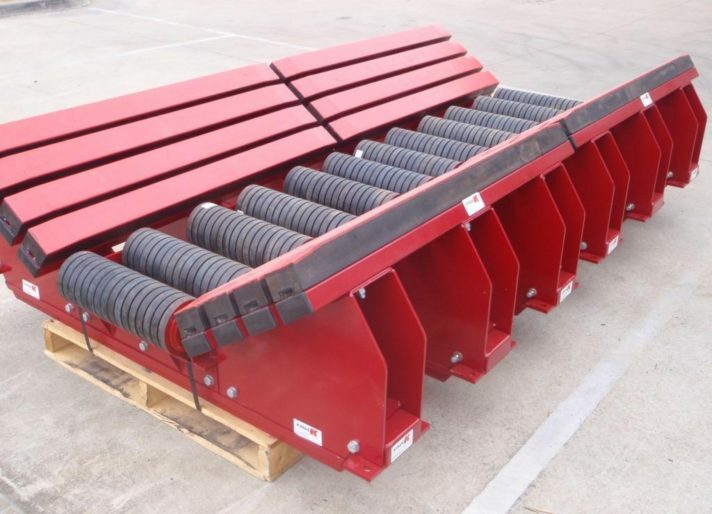 The cradle is designed to interchange with existing idlers to maintain the same belt height. The K-Shield Impact Slider Bars form a continuous seal and protect the belt from early failure due to pinch point damage. 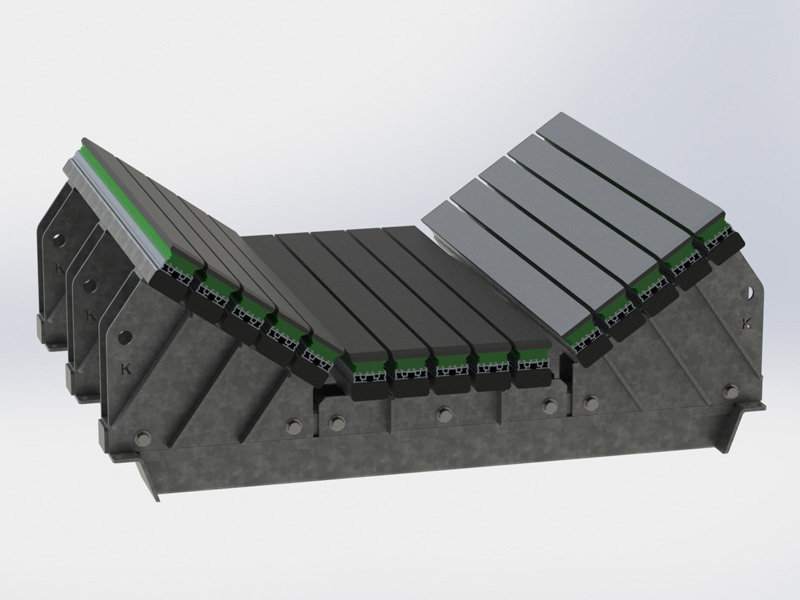 The smooth curved trough supports the belt over the entire surface, preventing conveyor belt punctures and tears.